Mr. Michael Walker is a pedigreed administrator whose work ethic, passion for teaching and vision for what could be has transformed New Way into the amazing school it is today. Mr. Walker has worked with kids most of his career and understands kids of all ages, and what makes them successful inside and outside the classroom. Mr. Walker graduated from Portland State University with a Bachelor’s degree. in Business Marketing, before going on to earn Masters’ degrees in both Education and Organizational Management. After working in several Special Education settings, Mr. Walker joined New Way Academy in 2005 as a 5th and 6th grade teacher. New Way felt an immediate impact from Mr. Walker’s leadership abilities. He developed the school’s sports and extra-curricular programs. What began as an elementary flag football team has grown into 13 sports teams for students in grades 4th – 12th. 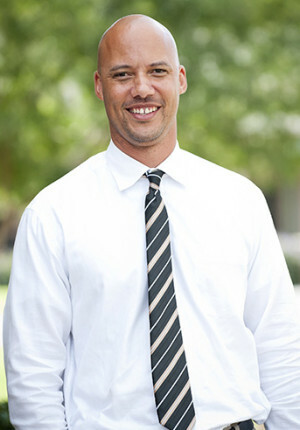 Mr. Walker was appointed as the Head of Upper School in 2010 and, in 2012, Head of School. He continues to focus on developing the quality of the academic and extra-curricular programs at New Way, and leads the charge on providing the optimal experience for every student. Mr. Walker enjoys spending his weekends with his wife Denise and their American Bulldog, Sadie. He is an avid sports fan, with the Denver Broncos, Stanford Cardinal, and New Way Bulldogs being his three favorite teams.